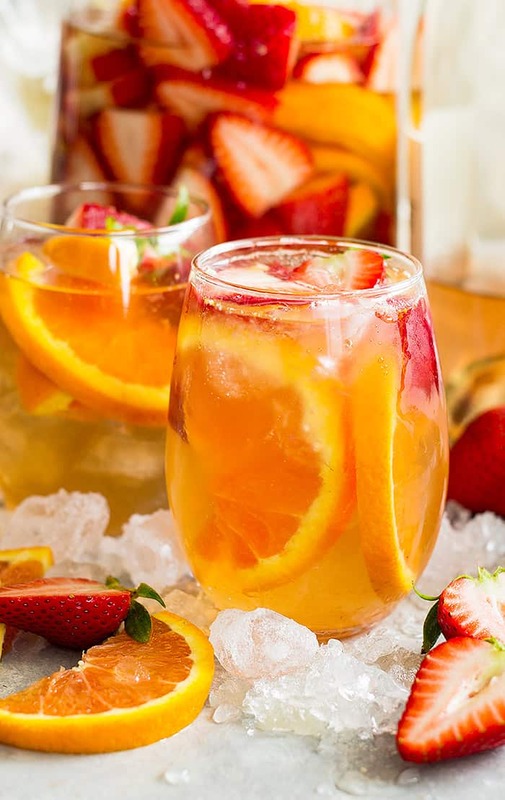 Strawberry Rose Sangria -is a perfect drink for a party! 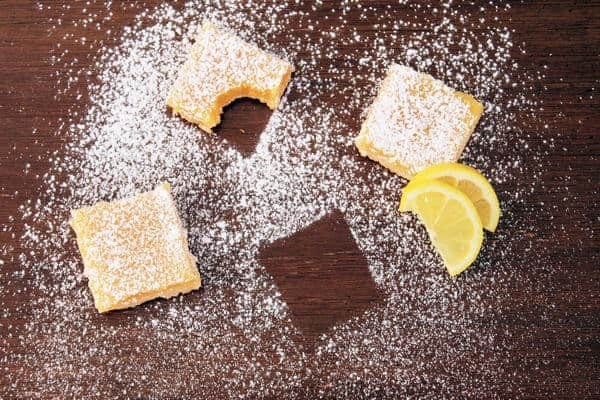 It’s refreshing, easy to make, not too sweet, and filled with fresh strawberries and oranges. With Mother’s Day coming up and summer around the corner (YAY!) I thought a pretty drink would be just the thing! The thing I like most about a sangria is you can change things up to suit your tastes pretty easily. I made this Strawberry Rose Sangria with a moderate sweetness. I don’t like drinks so sweet it’s like drinking pure sugar but I also don’t like them dry either. Just a happy medium. 🙂 But like I said it’s pretty easy to adjust this recipe to suit your tastes. You can use a dry rose wine, or even change it up and use a rose champagne and leave out the soda. 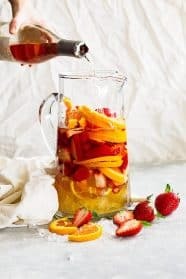 I used cara cara oranges in this sangria but regular oranges will work fine too. I just like how pretty they are and they are a little sweeter. 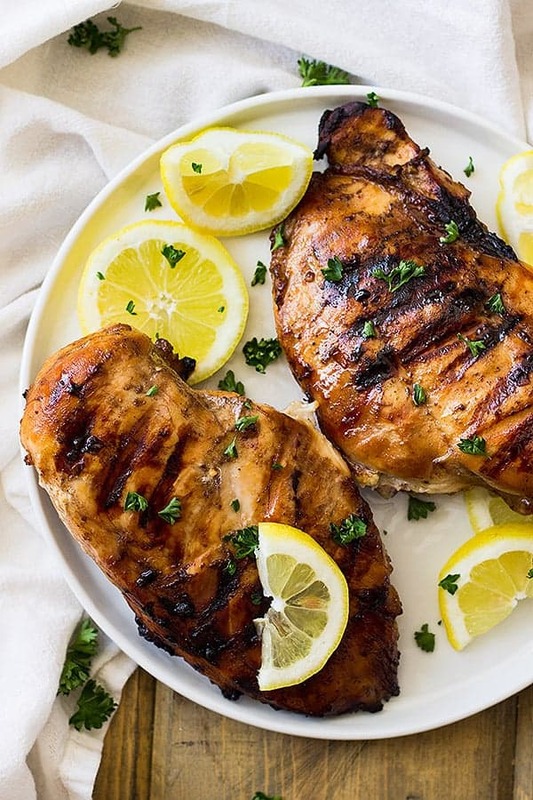 As with any sangria, you will need to allow a few hours for this to sit and “marinate”. This allows for the fruit to flavor the drink and makes it extra tasty. This will become more pink in color after it sits. I know it looks a little orange in this picture (because it was a fresh batch) but I promise it will be pink/light red from the strawberries after it sits for a little bit. If this is not sweet enough for you feel free to add some sugar. Just stir well to dissolve before adding the fruit. So, in other news, our spring break is over and the kids are back in school, finally!! I’m a little scared for summer vacation after this past week because it was CRAZY and I think all the things happened. My daughter that broke her tooth just before Christmas vacation broke it again! This dentist bill is getting outrageous……….I need more sangria! My washing machine decided to go on the fritz and dumped an entire load of water on the floor. And not just once but twice! It was a horrible mess. I used every towel in the house and still had to use paper towels to finish the job. And new washing machines are so expensive and we haven’t had luck with Craigslist, ugh! I also was a witness to a car accident (I will be thankful on this one and that I wasn’t involved!) I feel sorry for the lady because she hit a policeman so there is no way she can talk her way out of that one! Plus a few other things that made the week an extra long one! I don’t want to complain, just want to let you guys know that we are normal people and it’s not all pretty princesses and sprinkles here all the time. But we are back on a routine again and that’s what makes my world go round- a solid routine! It’s what keeps me sane, *twitch *twitch. 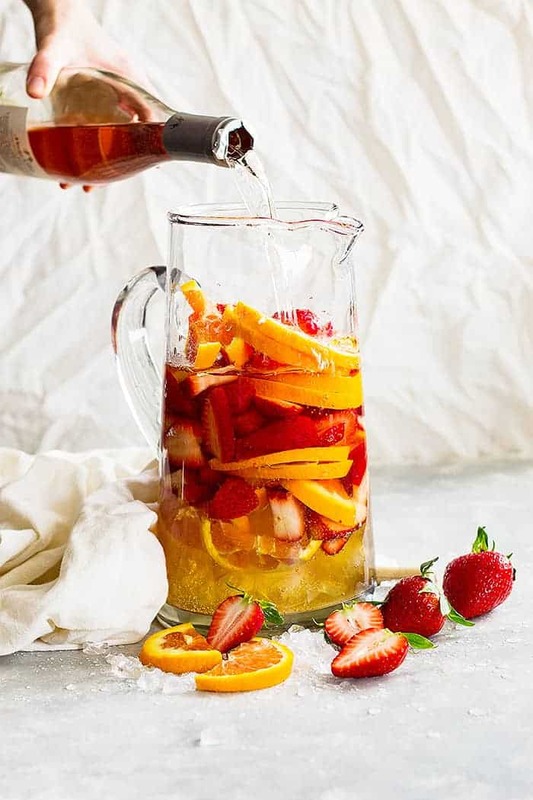 Pin this Strawberry Rose Sangria and save it for later! 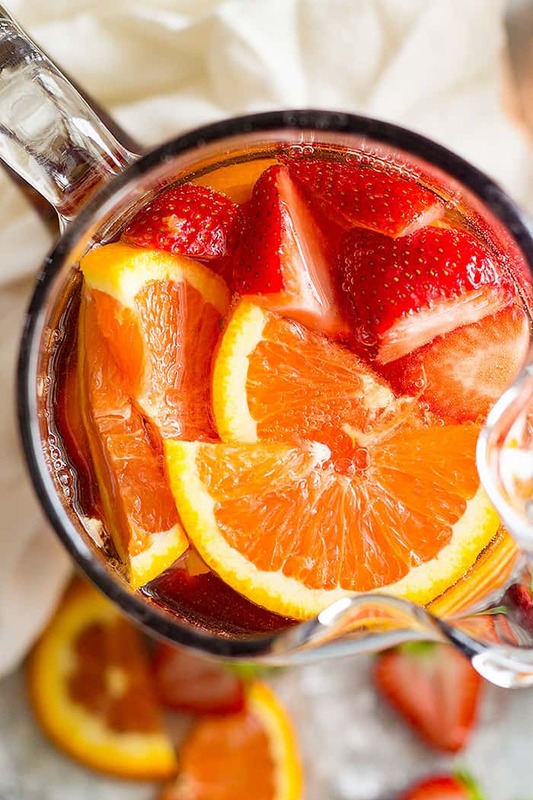 Strawberry Rose Sangria -is a perfect drink for a party! It's refreshing, easy to make, not too sweet, and filled with fresh strawberries and oranges. 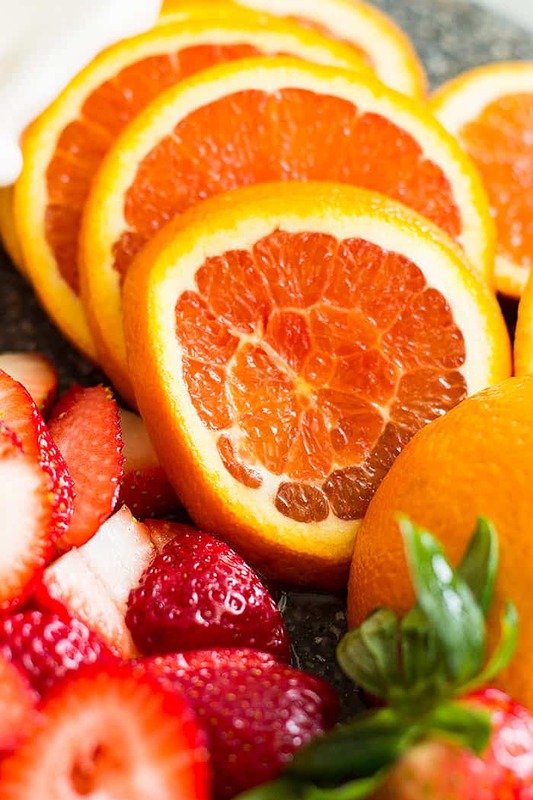 Add the strawberries and oranges to the bottom of a large pitcher. Pour wine and brandy over the top and stir to combine. 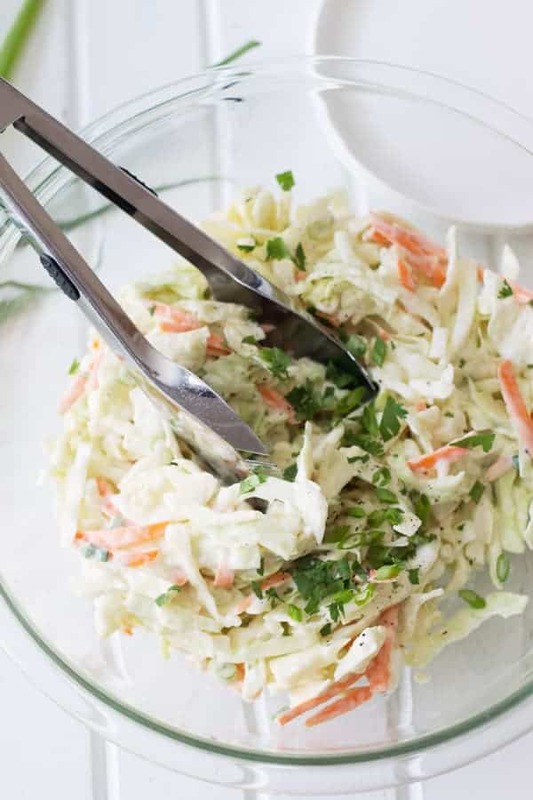 Place in the refrigerator for up to 2 hours to marinate. Before serving pour in the ginger ale. Serve in a glass with ice and the fruit. 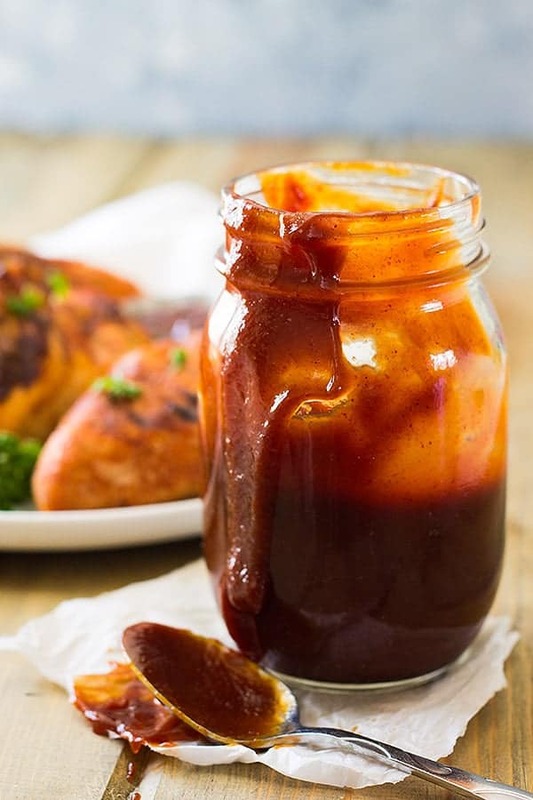 As with any sangria, you will need to allow a few hours for this to sit and "marinate". This allows for the fruit to flavor the drink and makes it extra tasty. That looks like a perfect poolside or party drink . . . as soon as the MN winter ends! It would be a great drink to have poolside! This sounds DELICIOUS!!!!!! Thank you for sharing!!! I just love your pictures! They are so vibrant and clear! This drink looks so refreshing and yummy! I made this Sangria for my daughter’s graduation party and it was a big hit. I loved the simplicity of it. I used regular oranges as I couldn’t find the cara oranges. HOW DO YOU MAKE THIS WITHOUT THE ALCOHOL? I have never tried making a non alcoholic version but The Kitchn has a version you may like to try.